Well, here we are again with Charlie Parker, just a year since the last one which still seems too long a time what with the plot threads that were left hanging in A Game of Ghosts. Does it live up to its predecessors? It does indeed. This, Connolly’s sixteenth Parker book is one of the best of the series so far, if not the best. Charlie is not the only one following the trail of the dead woman. There is another man called Quayle who has a great interest in finding the child. Accompanied by a woman known as Pallida Mors, Quayle will stop at nothing to get his hands on what he is looking for. Connolly, once again, keeps the reader enthralled from the very beginning. His writing style is clear and exciting. Real “on the edge of your seat” stuff. At the same time, his description of people and places are really fascinating. Full of history, real or invented, perfect descriptions of places like Cadillac, Indiana and hypnotic dialogue, it is a joy to read. The supernatural plays a big part in this novel and the ghost that appears in this book is as scary as anything I have read, putting me in mind of the ghost stories I read as a child, those by Algernon Blackwood, M.R. James, W.W Jacobs, Poe and the like. There is a particularly unnerving passage set in the woods fairly early on in the novel. Really first-class writing. Throughout the book there is a dreadful sense of foreboding and you really fear for some of the characters. Meanwhile in the background, it is very clear that Parker and company are living in Trump’s America. Bigotry has come to the fore and Louis takes a stand, leading to a series of unfortunate consequences. Old favourites make an appearance, some playing a more important role than others. Louis appears throughout the book while Angel takes a back seat. The love-hate (or is that hate-hate?) relationship between Parker and Detective Gordon Walsh continues but it is clear that they need each other, reluctantly or not and Moxie Castin plays his biggest part yet. Then there are the villains, Quayle and his companion, Pallida Mors. Both characters are two of Connolly’s finest creations. Quayle is not the devil himself as some might think. If he were, we might at least understand what Charlie is up against. But his history is not clear which makes him more dangerous. As for Pallida Mors, a more repulsive, frightening creature you are unlikely to ever come across. Remember Mr Pudd from The Killing Kind? She may well be worse than him. I have to ask myself if this is not more of a horror novel than any of its predecessors. The death count is high and some of the violence is quite shocking. Things are looking good for the future of the series. 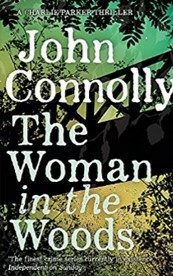 Connolly has so many plot threads dangling that we are assured of quite a few more books yet (I hope); meanwhile, read this and recommend it to your friends. It’s another triumph for Mr Connolly.